Hundreds of local residents converged on DeVos Place to welcome in the Chinese New Year. Hundreds of people gathered at Gillette Bridge in downtown Grand Rapids on Friday, February 16, 2018, to welcome in the Lunar New Year. The Year of the Dog started with a bang with the lighting of 4,000 firecrackers. 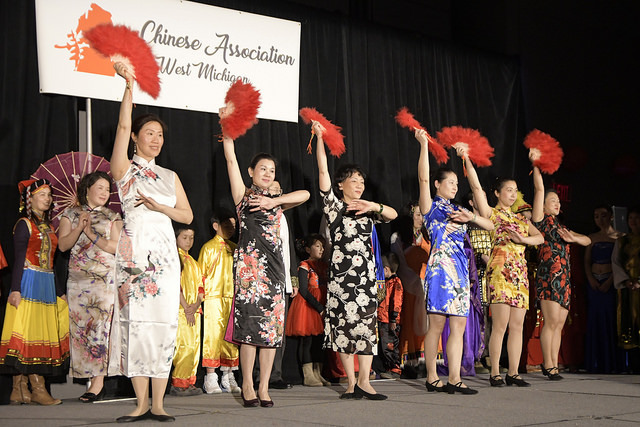 The event held in downtown Grand Rapids was the first time for the Chinese Association of West Michigan with the affair open to all West Michigan residents. 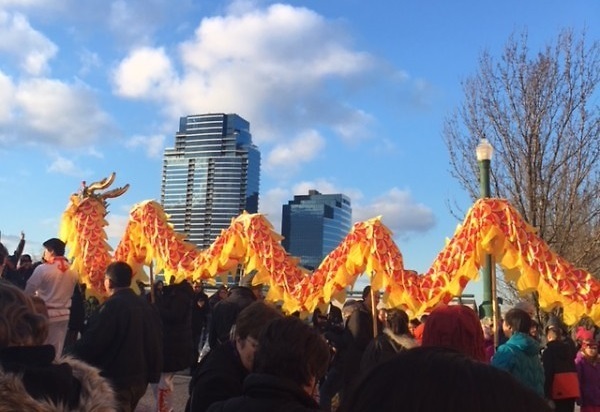 Participants followed a short parade that ended up at DeVos Place leading with a dragon which represents power, boldness, and excellence, including lions that symbolize strength, stability and superiority in the Chinese Culture. The creatures are meant to chase away evil spirits and welcome prosperous times during festive occasions. Eight-hundred people purchased tickets to a sold out celebration, while many others were turned away at the door. The main auditorium where the show took place was standing-room only with people lining the walls to catch a glimpse of the performers. Some food vendors ran out of certain items as they catered to the larger than expected crowd. 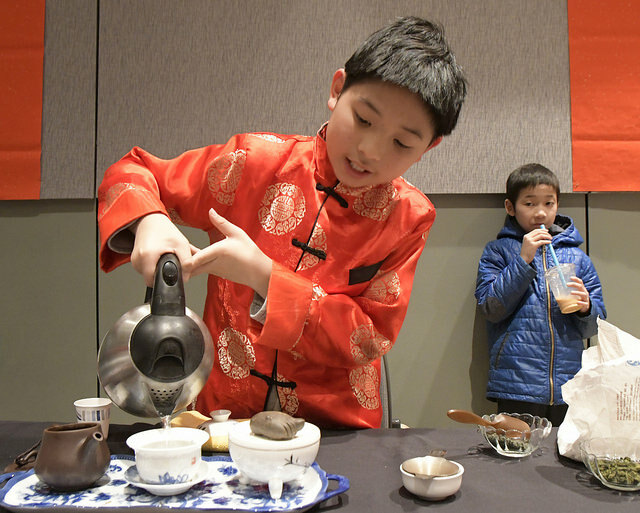 Inside the hall, Andrew Wu, 10, makes tea the way a friend of his mothers' taught him while visiting his grandparents on a recent visit to China. "It is very fun to make tea and tea taste very good," Wu said. 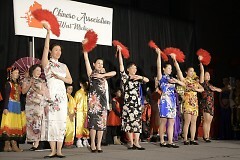 The night was filled with events and performances that showed off not only Chinese traditions but also many Asian traditions. The Chinese culture goes by the Lunar calendar. Lasting some fifteen days, the Chinese or Lunar New Year usually begins with the new moon that occurs between the end of January and early February and ends when the full moon arrives with the Festival of Lanterns. The Chinese zodiac which is the included in the Chinese calendar contains twelve signs as the sun makes it path through the cosmos. Each year is represented by one of the twelve zodiac animals: the rat, ox, tiger, rabbit, dragon, snake, horse, sheep, monkey, rooster, dog and pig. If you missed this year's celebration plan on celebrating Lunar New Year next year on February 5, 2019 for the Year of the Pig.